WANKULUKUKU – Ndejje University held Express FC to a goalless draw at the Betway Mutessa II Stadium at Wankulukuku. The visitors were at the receiving end of several goal scoring chances but the Red Eagles could not convert any of them. After drawing 1-1 with Maroons in their last game, Express knew that only a win would be welcome in front of their own fans and they started strongly with Michael Birungi sending in two brilliant crosses but none of his peers could apply the telling touch in the end. On 14 minutes, Allan Kayiwa got the first real opportunity of the game but could not stir Tony Odur’s cut-back toward goal. Five minutes later, Birungi fired wide after he was played in by the industrious Disan Galiwango. 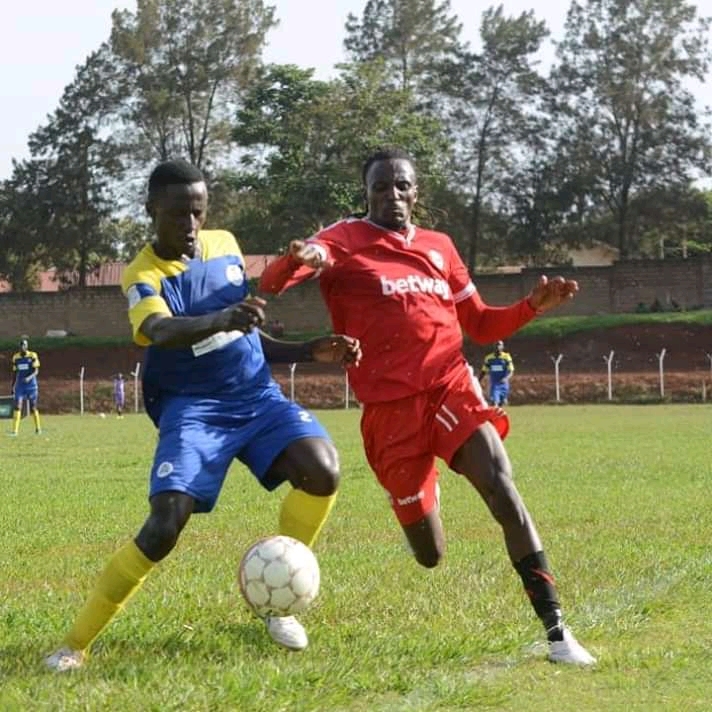 Four minutes past the half hour mark, Pius Mbidde produced a moment of magic down the right, played Kayiwa in on goal but the former Kirinya JSS player’s back-heel was easily collected by Ndejje custodian Eric Kibowa. Two minutes later, Galiwango sent a free-kick crashing onto the crossbar after Mubaraka Nsubuga was fouled around the area. Straight after, Birungi saw his first time shot off Mubaraka’s cut-back charged down for a corner. Despite the relentless pressure exerted by Express, Ndejje held on to go into the break 0-0. At the second half, it was all Express again as they tried to find the breakthrough. Kayiwa headed wide after Galiwango dribbled past George Akena and sent it a cross from the left. Then Mubaraka saw his fierce drive deflected out for only a corner. With 12 minutes of the second half played, Galiwango again sent in a low cross but Kayiwa could not control it with the goal at his Mercy. In an attempt to freshen things up, Kefa Kisala called for the first substitution with Joel Male replacing Charles Lubega. 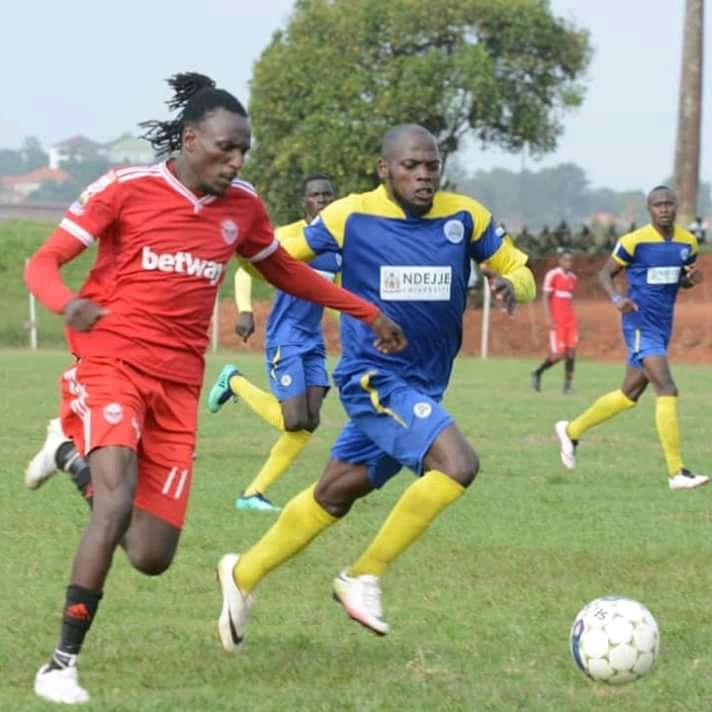 As Express went all out in search of a goal, Ndejje decided to try their luck on the counter and the tactic nearly paid off with 19 minutes to play but Samuel Matovu shot straight at Ronald Mutebi in Express’s goal after beating Isaac Mutanga. At the other end, Mubaraka tried his luck from distance but his effort flew wide of the target. With time running out, Ndejje called for a change with Bernerd Katetemera replacing Emmanuel Wasswa. Six minutes from time, Ndejje failed to deal with a routine Galiwango corner but we’re relieved as Odur blasted over the rebound. The best chance of the game fell to Mutanga with three minutes to play but his well headed effort was brilliantly saved before it crossed the line by Kibowa. Express piled the pressure and had Birungi strike the upright on 90 minutes but could not find the desired goal as the game ended goalless. The draw leaves Express 9th on the Log with 20 points from 15 games while remain second from bottom with 9 points.